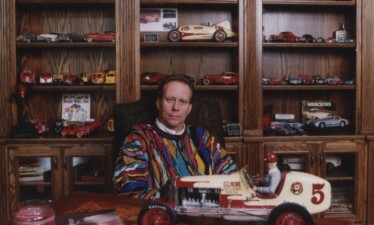 Don Edmunds has a long history in racing, from the late 1940s through 2002. 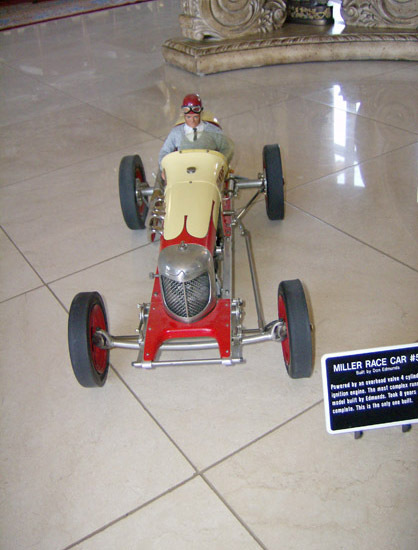 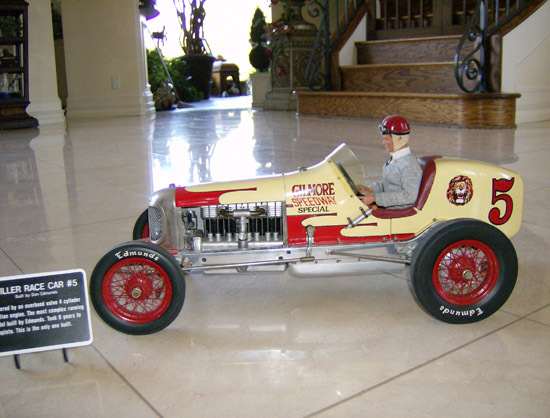 He has spent most of his life building race cars. 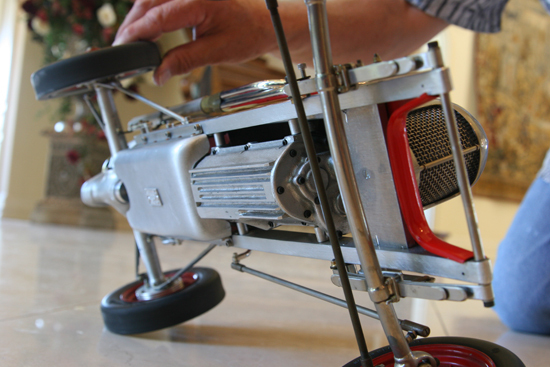 Now he builds scale models. 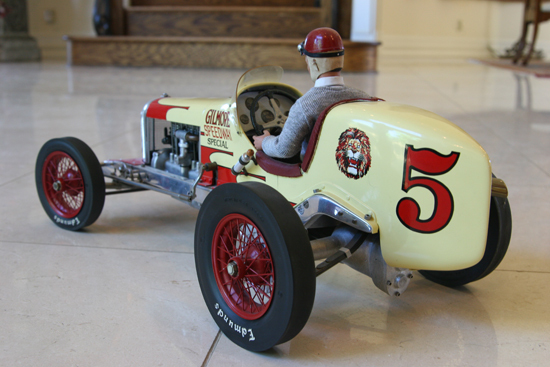 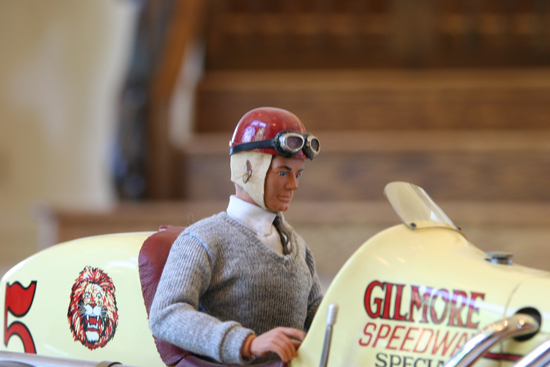 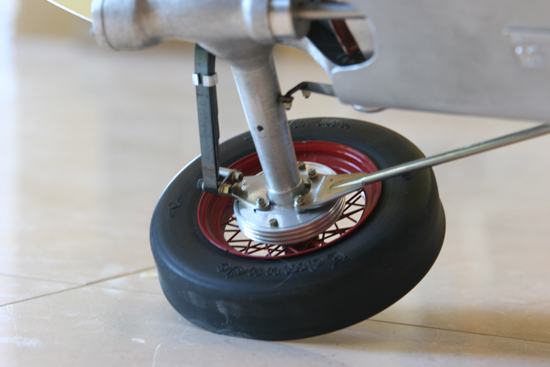 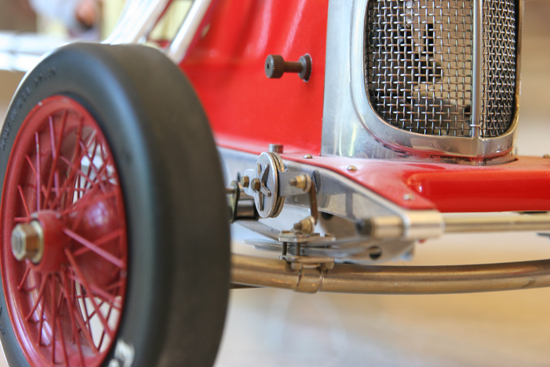 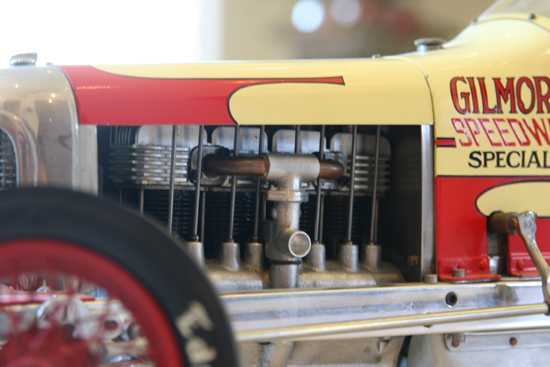 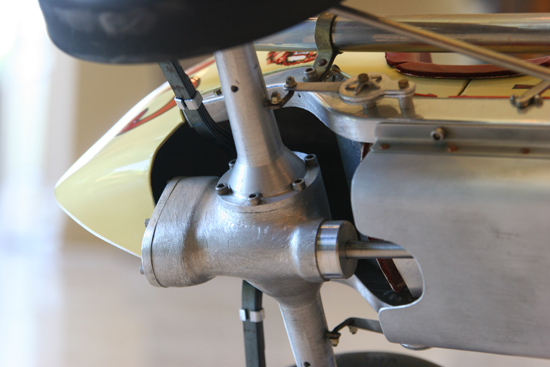 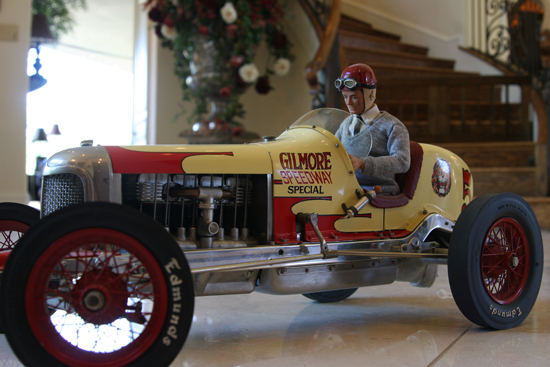 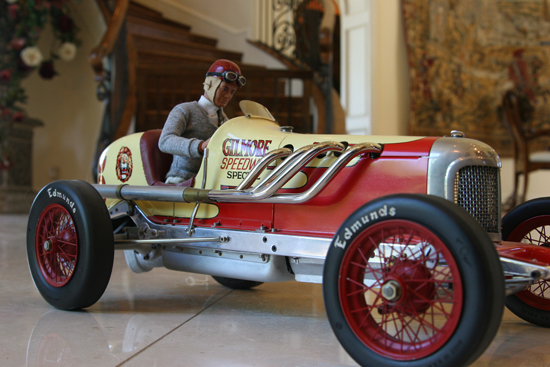 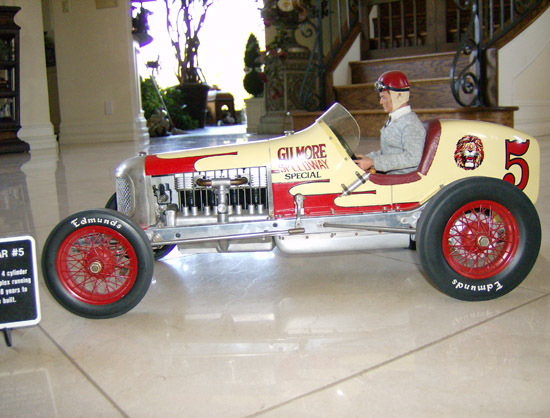 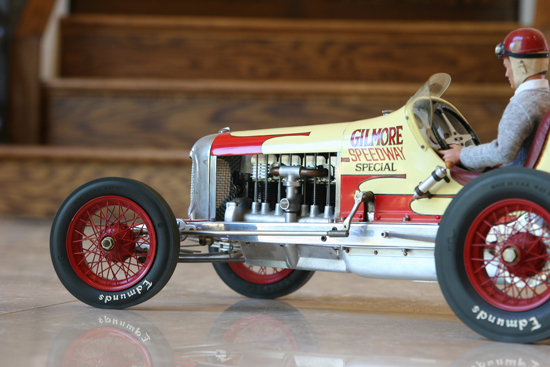 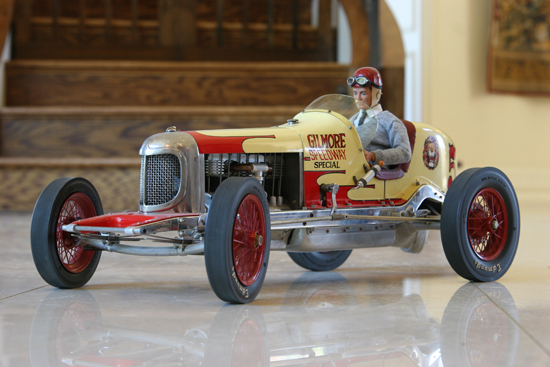 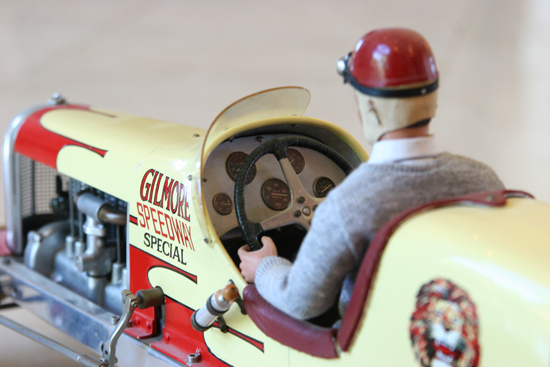 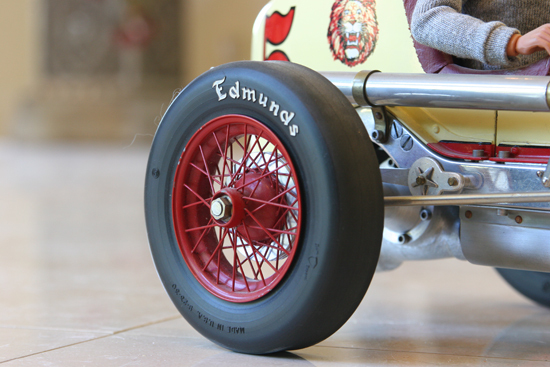 The Gilmore Speedway Special is powered by an overhead valve 4– cylinder ignition engine, and is the most complex running model ever built by Edmunds. 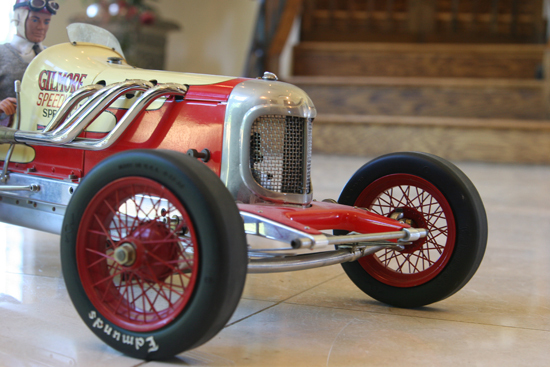 It took 8 years to complete, and this is the only one he ever made. 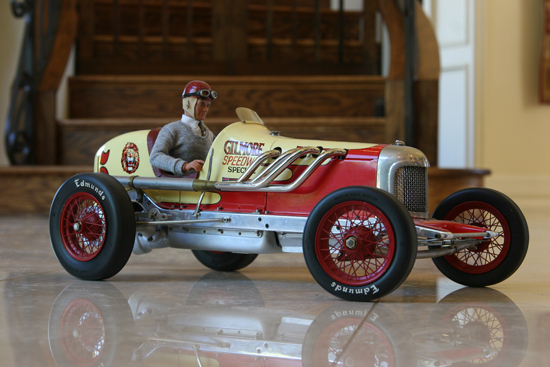 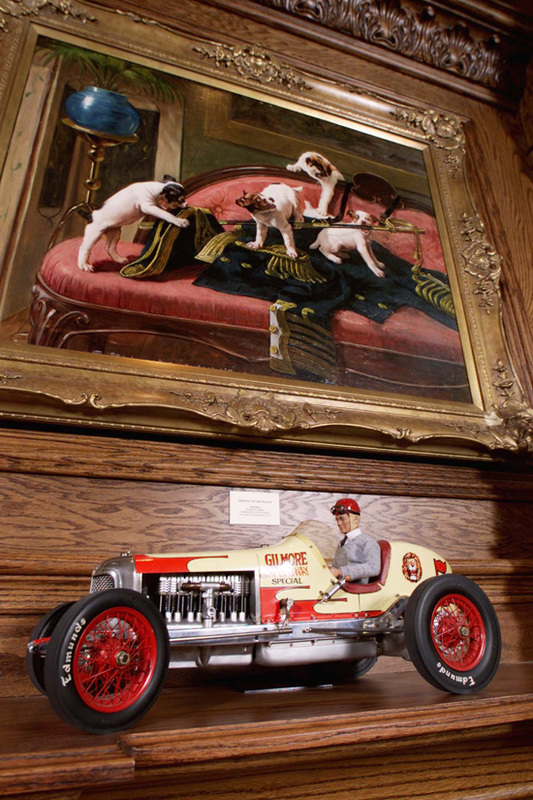 Truly a fine piece of automotive art and a tribute to it‘s builder.